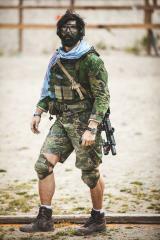 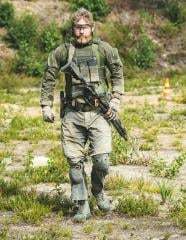 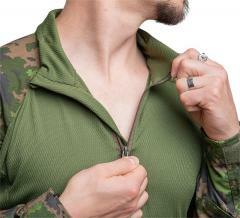 A lightweight and breathable combat shirt keeps you as cool as possible under all that body armour and load bearing gear. 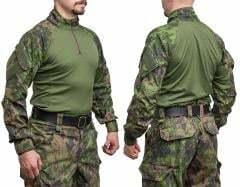 The stand up collar and sleeves offer protecion and pockets for essential gear, the wear prone elbows are protected by Cordura reinforced elbow pad pockets. 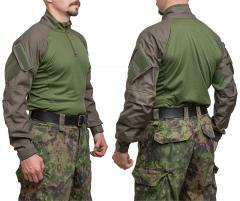 The measurements in brackets are the recommended user height and chest circumference in centimeters. 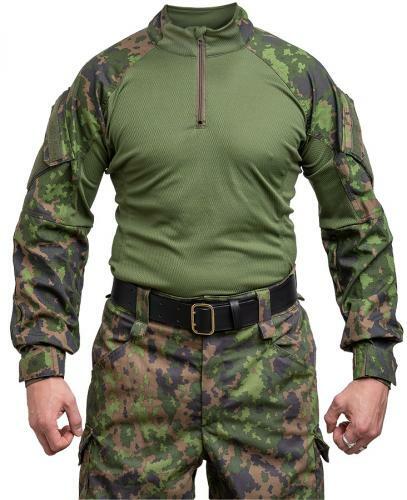 The fit is pretty normal, there is enough room and stretch to wear a T-shirt or mid weight long sleeve shirt underneath for added warmth in cold weather. 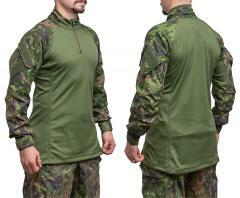 Coolmax freshFX is a very lightweight and highly moisture wicking 100% Polyester knit. 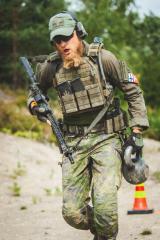 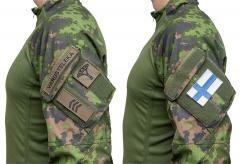 Finnish Defence Forces hot weather underpants and shirts are made from this exact same material. 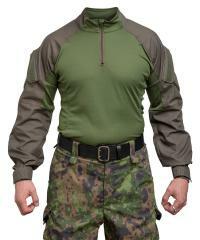 The sleeves and details are made from a ripstop reinforced 50% cotton and 50% polyester fabric. 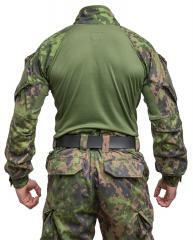 The elbow reinforcements are 500D Cordura. 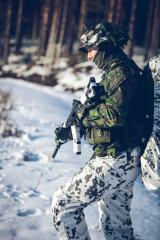 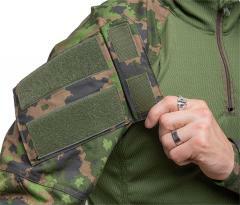 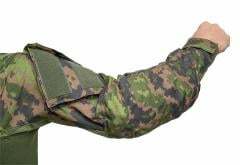 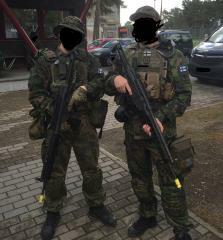 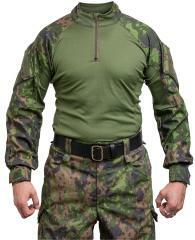 All fabrics, hook-and-loop fasteners are NIR compiant according to Finnish military specs. 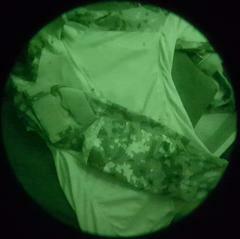 The Coolmax knit does not follow the same specs, but when viewed through night vision devices it it behaves pretty much like the light colours of the M05 camouflage print.